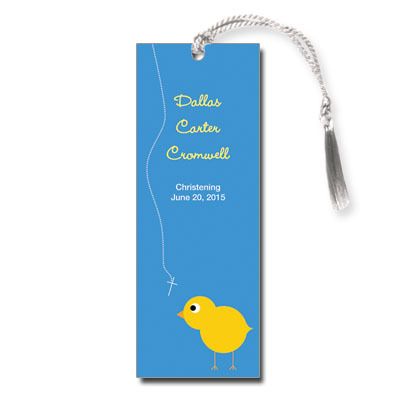 This adorable blue and yellow Christening bookmark features a cute chick, a delicate cross, and simple white type paired with whimsical yellow script. Customize with your baby's name and Christening date. Bookmark measures 2x5.5 and comes with white tassels; light assembly required.